Join Monster to Celebrate Read Across America Day and Dr. Seuss' Birthday! In Seussical style, Monster wants YOU to learn the importance of reading and literacy for everyone. This election season, Monster is running for president. His first campaign? Save the libraries from closing! Learn more about Monster's campaign and experience the joy of reading with Monster using our downloadable activities at monstervotes.com. For this Read Across America Day, Monster makes a raucous announcement: Monster is going to Washington, to pass a bill so everyone can read. "Reading is for everyone," Monster declares. "A fundamental right!" Read Monster's parallax adventure to Washington and find out what happens to his bill at monstervotes.com. 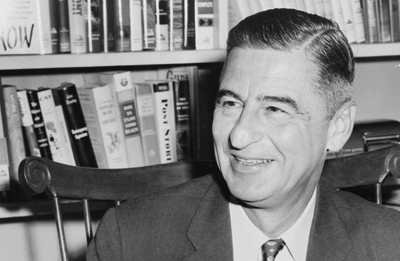 Dr. Seuss created a boundless, zany world with stories full of life lessons we still carry with us today. Monster's world is messier and a LOT furrier but Monster's stories are similar to the those of Dr. Suess in that they too provide kids with colorful life lessons that encourage free-range brains and courageous compassion. Not everyone is a literary genius. Most people can't just pick up reading and writing as fast as you can say "Cat in the Hat"! 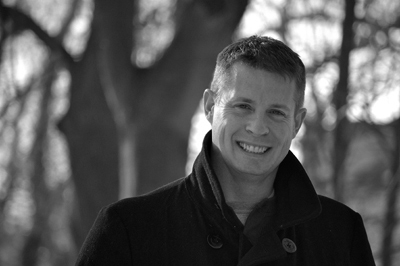 So this Read Across America Day, defy expectations and find your voice like Paul Czajak. Like Dr. Seuss, who started out fulfilling his father's dream of becoming a professor, Monster author Paul Cajak pursued a career as a scientist for over twenty years. Having received a college paper with an F that said, "Get a tutor!" Paul was discouraged from creative writing. Fast forward into the future and Paul hears his daughter say, "My monster needs a haircut." And that was it! The spark he needed to write a series of stories starring Monster, who needs a costume, sleep, a party, a christmas tree--you name it! But like Paul, who initially struggled with his writing, Monster doesn't always get things right the first time. Whether it's finding the perfect Halloween costume, or discovering a morally worthy campaign for presidency, Monster's persistence and outside-the-box thinking lead him to success. Like Dr. Seuss' Oh the Places You'll Go, Monster knows it's not about the ending, but how you get there that matters. 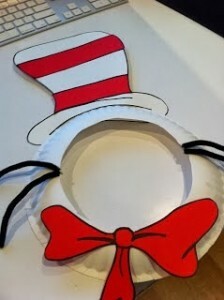 To celebrate Read Across America in monstrously Seussical style, we've provided this Seuss-inspired craft. Want Monster to join the party? Follow these simple steps and you'll have your own monster in no time! Print out the image below. 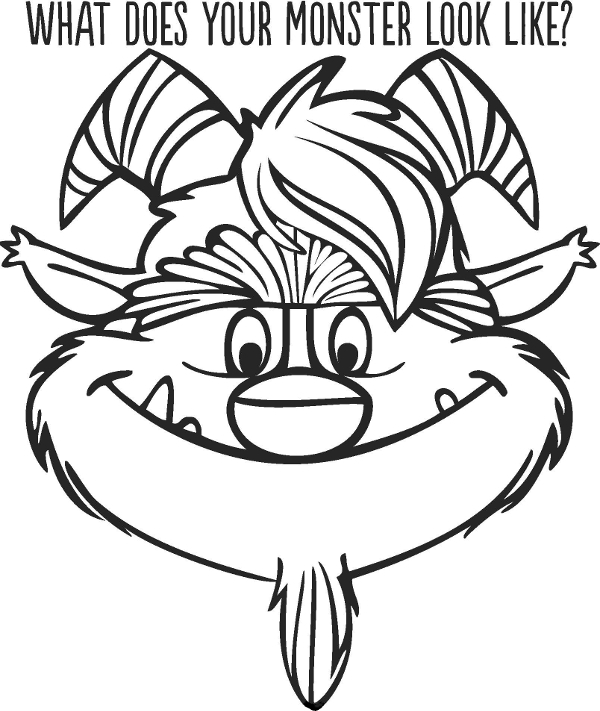 Color your very own Monster! Use different colors. Try sequins or glitter. Be creative like Monster! Cut out your Monster and take photo with your very own friend! Have a popsicle or paint stick available? Adhere it to Monster for you very own mask! You'll be having a monstrously good afternoon in no time!